Voters in a small Washington County community have decided to dissolve their village government. In a 192 to 49 decision, voters Tuesday chose to dissolve the village of Salem, New York. The community with 946 residents is located within the Town of Salem, in eastern Washington County near the Vermont border. Village of Salem mayor Sonia Trulli said the town and village will now speak with a unified voice. The Village of Salem now has 180 days to present an implementation plan for dissolution, including the necessary consolidations and eliminations of services. There will then be a 45-day period where village residents can file a petition to bring another vote, but if not, the dissolution will move forward, and the city government will be disbanded. Village residents will be represented by town officials. The dissolution will remove the village clerk, and will affect the village library, which will stay open but will need to reorganize under a new charter. The village’s small public works department and water office will also be affected. Village residents will retain their address and zipcode, and most services will not be affected, says Trulli. “Your neighbors are still your neighbors, your streets are still your streets. Life goes on. I don’t think they’ll notice the change other to see some of the services may be stronger or better organized,” said Trulli. Police protection is already provided to Salem through the Washington County sheriff’s office, and the village and town are served already by the independent Salem Volunteer Fire Department. New York’s Citizen Empowerment Act promises aid to governments that consolidate in perpetuity, but Pitts said he’s worried that could change in the future. The move to a dissolution vote was brought on earlier this year through a petition filed by hardware store owner Kyle Hunter. Hunter spoke previously with WAMC, saying that his push for dissolution was not necessarily based on double-dipping and over-taxation. “I think the village has been responsible over the years with their budget. They’ve done their best to keep taxes low, but it got to a point where I think people feel like their aren’t getting anything for their tax dollars, and their taxes are only going to go up, and service seems like it’s decreasing,” said Hunter. Salem’s decision contrasts with another Washington County village up for dissolution earlier this year. In June, voters in the Village of Greenwich decided against a proposal also brought on by a citizen’s petition. Greenwich’s dissolution would have been arguably more complicated than that of Salem. Unlike Salem, had Greenwich voters approved dissolution, officials would have had to decide the fates of police and fire, as well as garbage and recycling collection. Residents of Greenwich, New York are keeping their village. By a vote of 281 to 203, residents voted down a measure that would have dissolved the village. 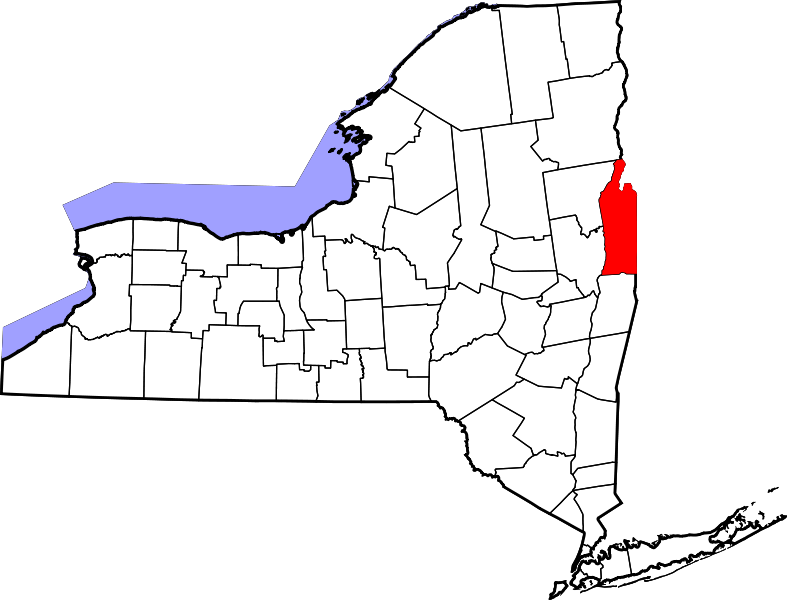 The Village of Greenwich is located in New York's Washington County. Peter Gregg, a resident of the village of Greenwich in Washington County loves where he lives. He likened it to living in a Norman Rockwell painting. Gregg said the taxes are “penalizing” to village residents. Gregg, who edits the local newspaper The Greenwich Journal, recently submitted a petition to the village board to dissolve the village government.